The ESEH 2017 conference will last from Wednesday, 28 June to Sunday, 2 July. It will consist of 110 sessions, a special time-slot dedicated to posters, and a «Green Movie Soirée». There will be also a number of sponsored side events like White Horse Press reception in the occasion of ESEH best poster prize and Environmental historian Francophone breakfast, sponsored by RUCHE, French branche of ESEH. In addition, daily excursions around the city center and a Botanical garden promenade (Read about the Botanical Garden: http://hirc.botanic.hr/vrt/english/history.htm) will be offered to the participants. A thematic conference excursion in Zagreb and its periurban area on urban environment in post-socialism will also be offered. Pre -conference field trips will be offered to a limited number of participants on a first-come-first-served basis. Each trip has a minimum of 20 participants. The pre-conference field-trips will be organised and led by the University of Zadar and the starting point will be the city of Zadar. The excursions will take place on 26. and 27. June 2017. 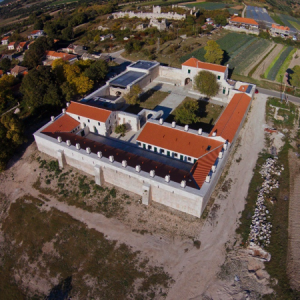 Both excursions will be accompanied by professors/researchers from the University of Zadar. The transfer from Zadar to Zagreb conference venue will be available for those attending the pre-conference tours in Zadar without charging. Telašćica Nature Park is situated on Dugi Otok Island in Zadar archipelago and in southeast direction there is Kornati National Park, located in Šibenik archipelago. There are three basic phenomena within the Telašćica Nature Park: bay of Telašćica which includes 25 coves and 69 km of well-indented coastline, the tectonic cliffs rising up to 161 m above the sea level and the salt lake called Mir. 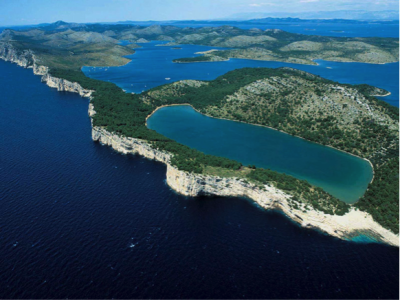 Kornati National Park consists of 89 islands in relation to total of 149 islands of Kornati archipelago. Both Dugi Otok Island and Kornati Islands have been valorised in agricultural production since prehistory, dominantly in sheep-herding and olive growing. 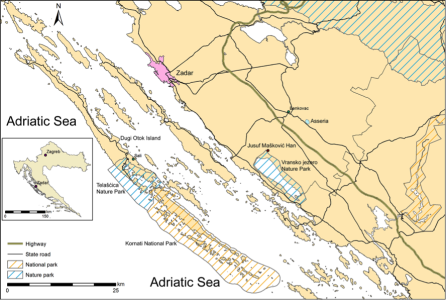 It resulted in almost complete deforestation of Kornati Islands and SE part of Dugi Otok Island. Lack of vegetation intensified the soil erosion and mostly prevented natural reforestation which is evident nowadays as a rocky, barren landscape. Interesting fact about Kornati is that there are no permanent settlements on the islands as they are owned by the inhabitants of Murter Island who periodically visited islands to engage in agriculture. Zadar hinterland is mostly rural area which can generally be identified with Ravni Kotari region. Ravni Kotari is of the largest and one of the most important agricultural areas of Littoral Croatia. Throughout history, people living in this region were mostly engaged in agriculture (both cropping and pastoral activities). In spite of extensive processes of depopulation and abandonment of cultivated land during the second half of the 20th century, the Ravni Kotari landscape retained the characteristics of an important agricultural region. During the field trip we plan to visit agricultural cooperation Masvin that is the biggest producer of organic olive oil in Croatia, Maškovića Han (residence) – the western most monument of civilian Islamic (Ottoman) architecture in Europe which has recently been renovated and opened for visitors, Vransko jezero lake – the largest lake in Croatia and part of the Vransko jezero Nature Park and Asseria, an archaeological site from preroman and Roman period. Vransko jezero lake area is characterized by lot of examples of environmental changes, especially from 18th century onwards (digging up Prosika Channel that connects lake and Adriatic Sea, melioration of swamps, construction of irrigation channels, construction of dry stonewalls etc. ).